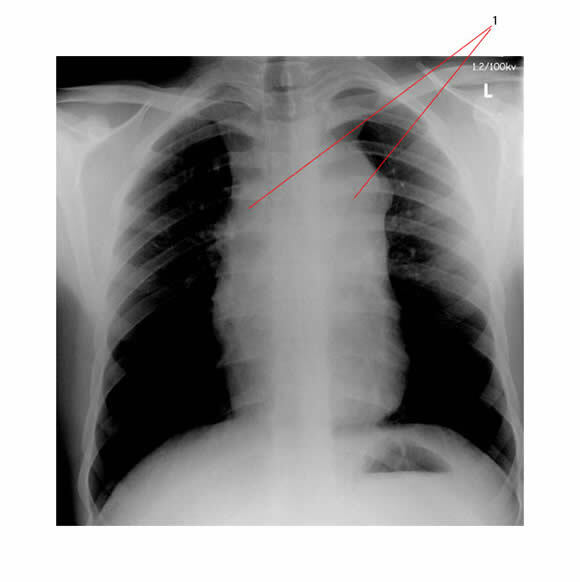 A chest X-ray is generally the first investigation. 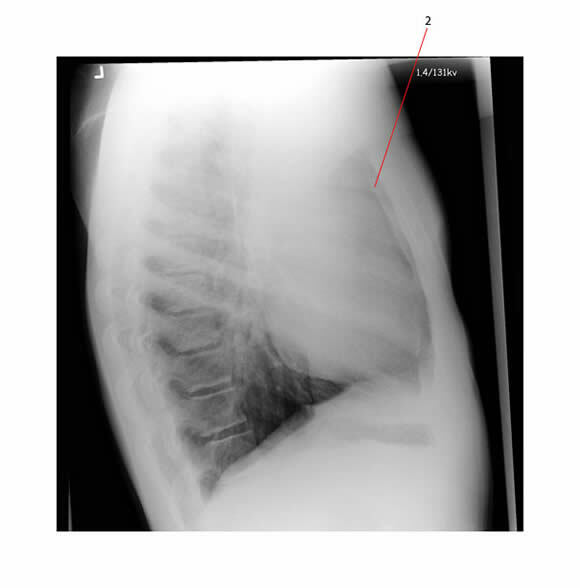 The PA chest X-ray below shows widening of the upper mediastinum (#1) consistent with lymphadenopathy. The lateral view of the same patient shows loss of the retro-sternal airspace (#2) which is consistent with anterior mediastinal adenopathy. This patient had Hodgkin lymphoma associated with anterior mediastinal disease. CT scans give important information, but in many centers now an initial CT-PET scan has replaced CT alone. 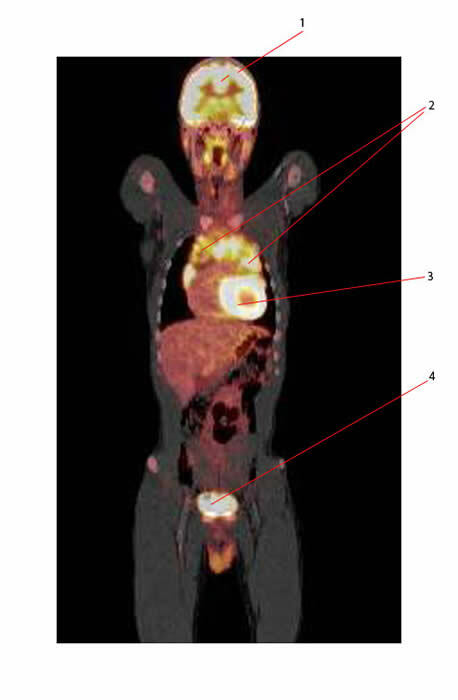 CT-PET scans are an essential part of initial staging and monitoring response to therapy. delineates status of intrathoracic lymph nodes, lung parenchyma, pericardium, pleural effusions, chest wall and mediastinal mass. 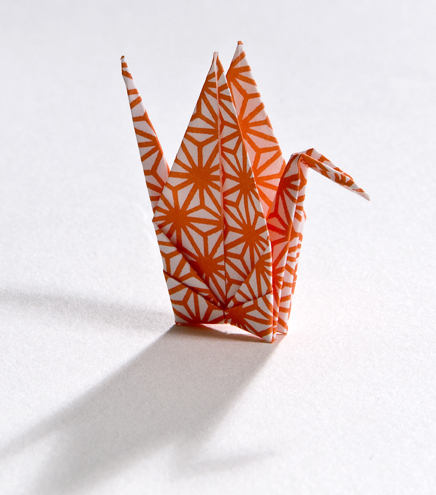 if PET scans are persistently positive, it indicates resistant disease. Gallium uptake in areas of disease. Very rarely used in the evaluation of Hodgkin lymphoma.